Assessments of the state’s current wheat crop left participants in the second annual Virginia Wheat Tour optimistic last week. Imagine touring a factory and inspecting the quality of the materials that will be used to build your next car. A cold, wet spring had a chilling effect on Virginia’s wheat and barley crops. It’s been a year since corn and wheat prices tumbled on the Chicago Board of Trade. Milk prices took a steep nose dive last November. Ample rains in the past week have delayed some wheat harvests and soybean planting but generally benefitted row crops and hay. The Virginia Department of Agriculture and Consumer Services announced today that Virginia farmers expect to harvest 16.0 million bushels of winter wheat during 2015. It’s harvest time for many Virginia farmers, and that means super-size farm vehicles are on the road in many communities. 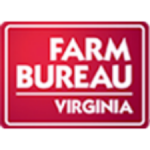 Virginia Farm Bureau is encouraging both farmers and motorists to exercise caution. U.S. agricultural exports, including those from Virginia, are at an all-time high. The USDA recently announced that agricultural exports for 2014 totaled $152.5 billion, topping last year’s record $141 billion. According to the Virginia Department of Agriculture and Consumer Services, the state’s winter wheat production is estimated at 17.7 million bushels, down two percent from last year. According to the Virginia Department of Agriculture and Consumer Services, the 2014 corn crop in Virginia is forecast at 51.8 million bushels, down seven percent from last year. Virginia’s flourishing craft beer industry is delighting beer enthusiasts, capturing critical acclaim, boosting tourism and attracting events such as the National Beer Expo, which was held last month in Richmond. The Virginia Department of Agriculture and Consumer Services announced today that Virginia’s wheat producers expect yields to average 65 bushels per acre in 2014. According to the Virginia Department of Agriculture and Consumer Services, Virginia’s winter wheat production is forecast to be higher than thought a month ago. “Country roads, take me home.” Many people remember the popular song by John Denver, but not everyone remembers to watch out for slow-moving farm vehicles on those country roads at this time of year. According to the Virginia Department of Agriculture and Consumer Services, Virginia’s winter wheat crop is expected to total 15.9 million bushels this year, down 7 percent from last year’s crop. After a cold and wet early spring, Virginia farmers are ready to get their crops in the ground. Corn plantings across the state are behind schedule. Cotton and peanut producers are expecting to plant more acres this year, while producers of other major row crops are pulling back a bit. The Virginia Department of Agriculture and Consumer Services announced today that Virginia’s corn producers intend to decrease acreage in 2014 to 500,000 acres. 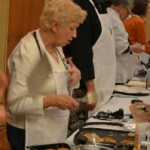 On Feb. 25th, Nickie Aldridge, Innkeeper at Tree Streets Inn in Waynesboro, Va received honorable mention for her Gluten Free Coconut Pancakes at the Bed & Breakfast Association of Virginia’s Annual Conference Cooking Contest. Augusta County, the new addition to Arcadia Publishing’s Images of America series, presents an overview history of Augusta County, Va., from its inception in 1738. Cold temperatures and regularly occurring snowstorms this winter have even hardy folks like Virginia farmers eager for spring to arrive. Virginia is a key farm export state, with trade offices in eight locations around the world. The newest one opened last fall in Canada, which imported $205 million in Virginia farm products in 2012 and is Virginia’s second-largest export market behind China. The Virginia Department of Agriculture and Consumer Services announced that Virginia’s corn yields are expected to be 154 bushels per acre, up 51 bushels from the previous year’s yield and up four bushels per acre from the November forecast. According to the Virginia Department of Agriculture and Consumer Services, the final 2013 production for Virginia wheat totaled 17.1 million bushels, 9 percent above last year’s crop. Area harvested for grain, at 275,000 acres, is 35,000 more than last year. Average yield in Virginia, at 62 bushels per acre, is 3 bushels below last year. Yield is down because of excessive rain. 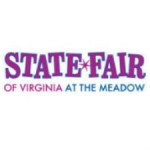 A survey conducted in early June by the Virginia Field Office of the National Agriculture Statistics Services reveals that Virginia’s farmers will plant 3 percent more soybeans than the previous year while corn acreage will decline 8 percent. 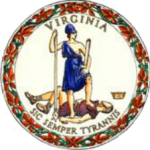 The Virginia Department of Agriculture and Consumer Services announced today that the 2013 wheat crop is expected to total 16.7 million bushels. 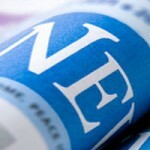 If realized, production will be up 7 percent from 2012.